DM Metalloys Pvt. Ltd. identified as one of the leading names in the market engaged in providing a wide range of SS Mat PVC Sheet to the clients. 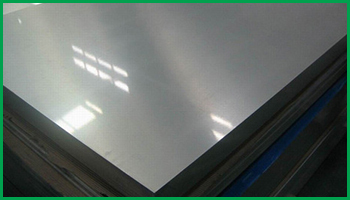 We are also involved in manufacturing, exporting and supplying of stainless steel MAT PVC 304/304L/3016/316L plates. We have Most Skilled Workmen enthusiastic for handling MAT PVC Finish plates detailing & avoiding even minute features like Finish perfection, dents, Scratches, Torn PVC Etc. We Extensive facility for handling, packaging & Delivering such type of surface Finish Sheets. Utmost care is taken in bringing these types of sheets. DM Metalloys Pvt. Ltd. Supplies Stainless Steel 304/304L/316/316L Mat Pvc Plates in Faridabad, Gurgaon, Gurugram, Gaziabad, Noida, Lukhnow, Delhi, Delhi NCR, Ludhiana, Amritsar, Chandigarh, Jalandhar, Baddi, Punjab, Uttar Pradesh, Haryana, Mumbai, Pune, Sahibabad, Meerut, Manesar, Bhiwadi, Bawal, Neemrana, SIDCUL, Sonepat, Ambala, Mohali, Panchkula, Kapurthala, Bareli, Kanpur.